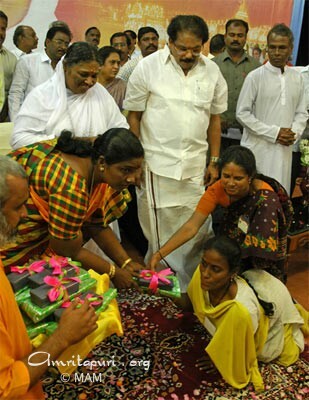 Currently, the Tamil Nadu Government is headed by the DMK, a party known for being anti-religion in general and anti-Hinduism in specific. 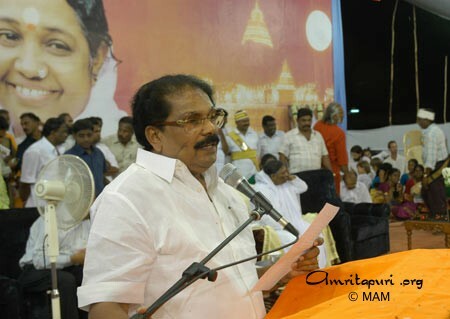 The party’s current leader, Chief Minister M. Karunanidhi, once even said that party members wearing the tilak mark on their foreheads were insulting the DMK’s founding father. 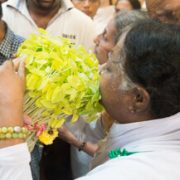 As such, the fact that Karunanidhi participated in Amma’s program in Nagapattinam on the 31st has created quite a stir amongst India’s political pundits. 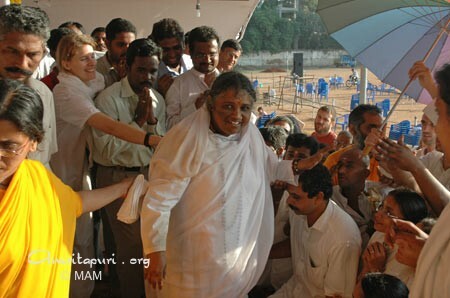 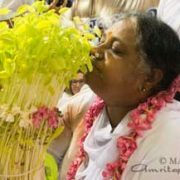 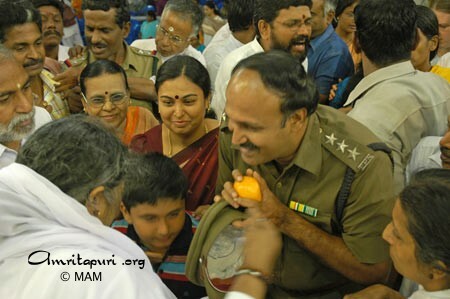 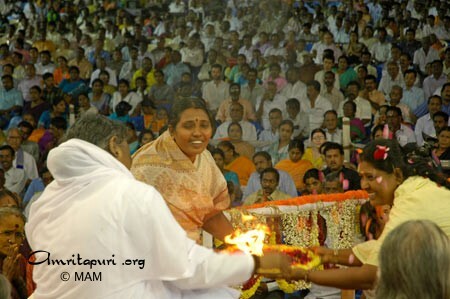 During that program, the CM even referred to Amma as “a pearl among human beings,” praising her wisdom, love, compassion and selfless service. 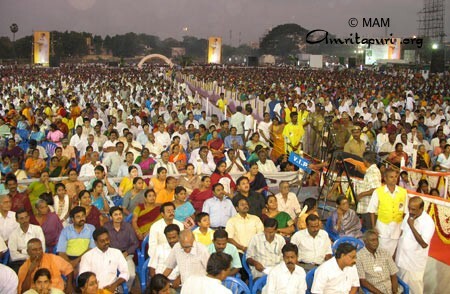 Saying that Amma was “ruling the hearts of Tamil Nadu with her love,” Ramachandran requested Amma to extend the Ashram’s humanitarian works in the state and added that Karunanidhi and the Tamil Nadu Government would support the Ashram in all such endeavours. 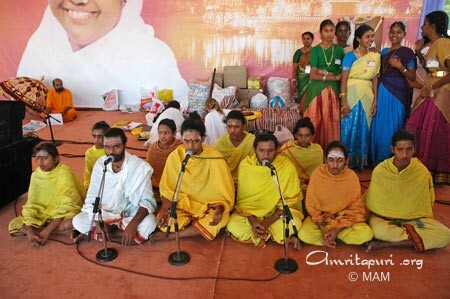 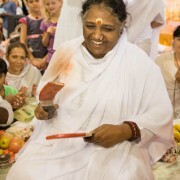 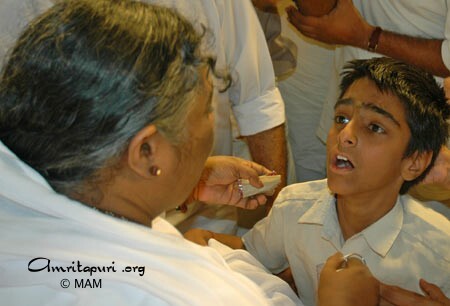 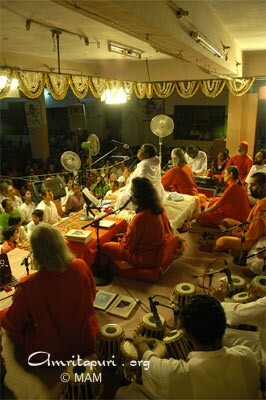 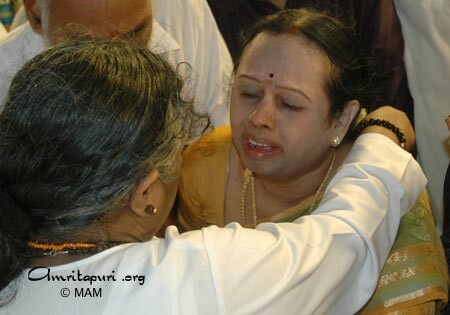 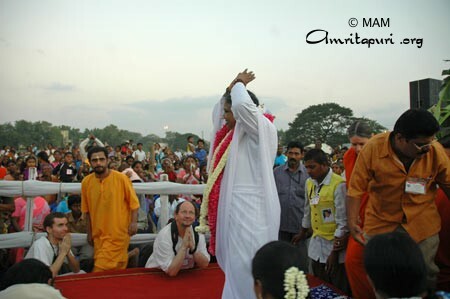 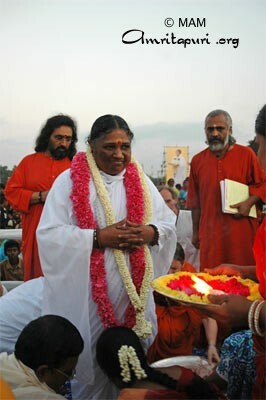 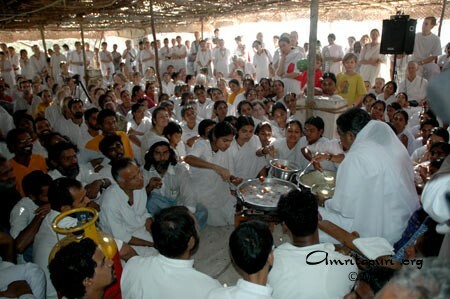 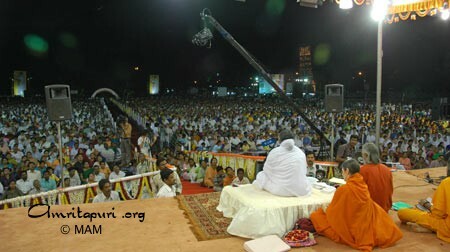 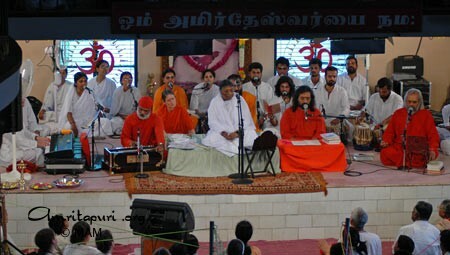 He specifically asked for the Ashram’s help in terms of education and healthcare. 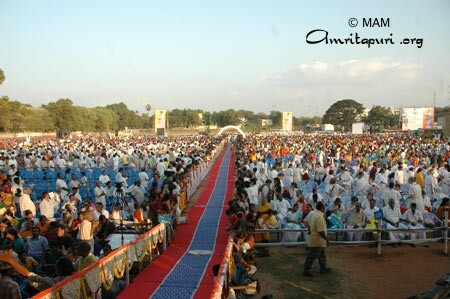 “This land will never forget your help. 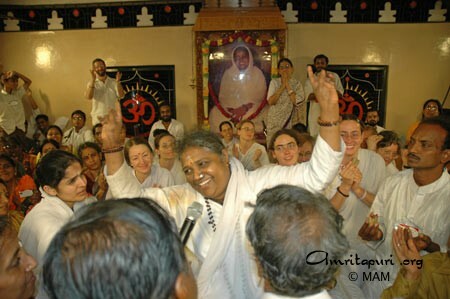 This land needs your blessing. 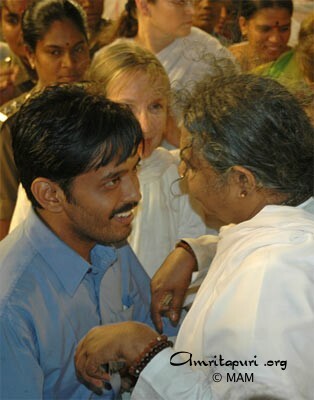 This government needs your blessing. 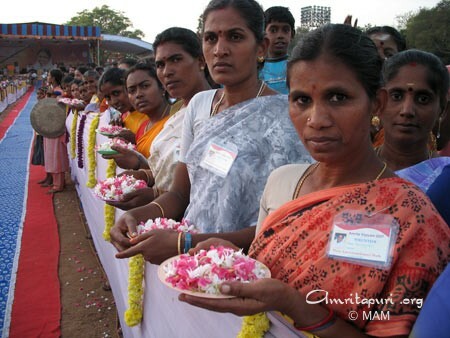 These people need your blessing,” he said. 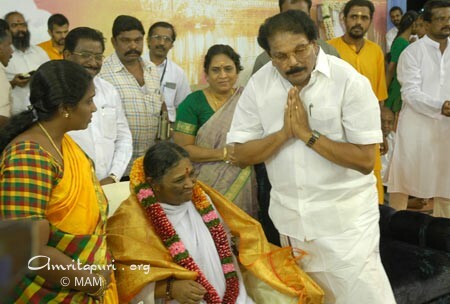 On behalf of the Mata Amritanandamayi Math, Ramachandran then inaugurated the Amrita Nidhi pension program in Madurai, handing out certificates of enrolment and checks to 10 widows and handicapped people. 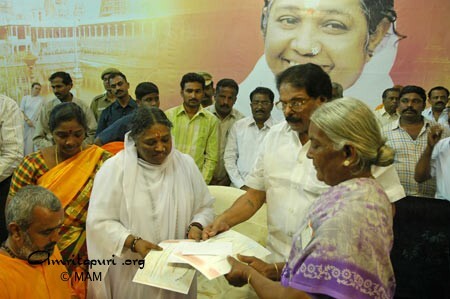 These were representative of 100 such new beneficiaries in the Madurai area. 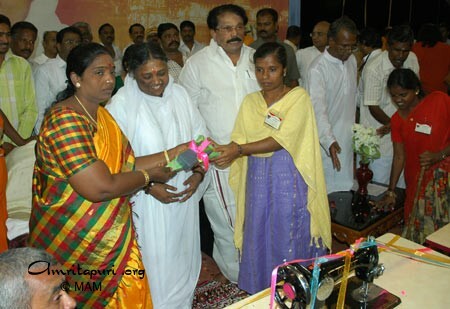 Sewing machines were also given to impoverished women by the Mayor of Madurai, Smt. 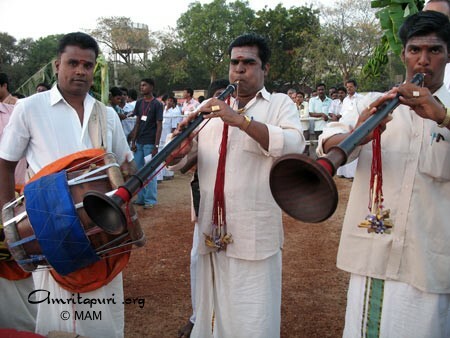 Tenmozhi.